Osceola company builds an outdoor legacy. 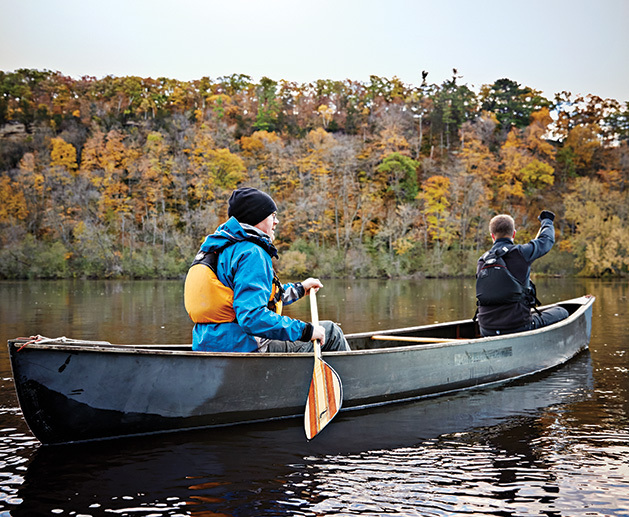 If you want to build a better paddle, ask a canoeist or a kayaker. That’s the simple logic that has fueled the growth of Osceola-based Bending Branches into the world’s largest manufacturer of quality canoe and kayak paddles, making and selling 150,000 to 200,000 paddles per year, according to company president Ed Vater who joined the firm in 2002. With a 40,000-square-foot manufacturing plant and about 50 employees, Bending Branches is a lean manufacturer that builds everything to order, producing inventory as orders come in, according to sales manager Jake Wisse. That’s a rarity in what is still a relatively small industry. He says, “The bowling shoe industry is bigger,” he says. 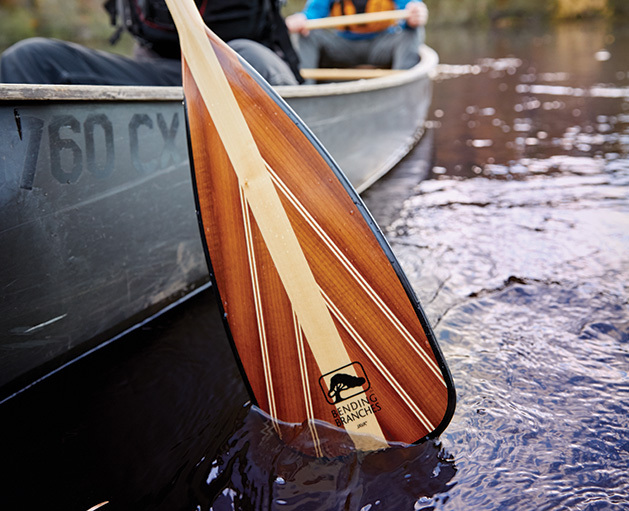 Bending Branches is credited with developing the first composite-tipped canoe paddle, still a foundational product for the company. 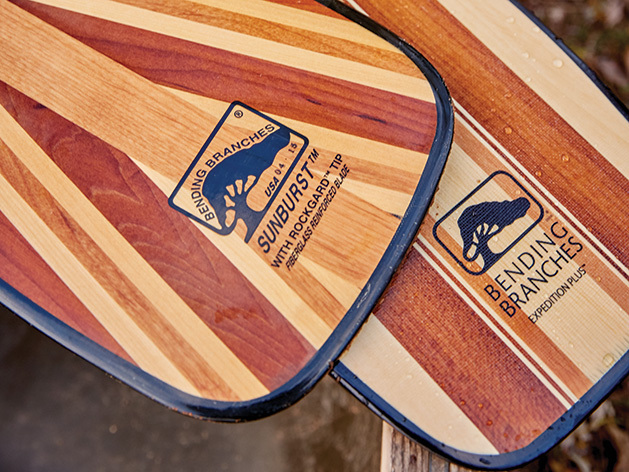 Bending Branches makes paddles designed for stand up paddle boarding, canoeing, kayaking, longer excursions, day trips and whitewater as well as deeper lakes, rivers and salt water. At some point fairly early in its development the company also made hockey sticks as a counter seasonal product, but sold that business to a larger sporting goods manufacturer in 2003. Vater says, “We had a very well-respected product for the hockey market, and some people were upset when we chose to get out of that business.” But Bending Branches had difficulty competing with older, more established stick companies who could afford to pay National Hockey League stars to endorse and use their sticks. Bending Branches says its on-staff paddling enthusiasts are dedicated to testing, designing and building paddles that are lighter, stiffer, “smarter,” more durable and more beautiful than its competitors’ products. It’s also proud of its dependability, citing a breakage rate of only .03 percent. Bending Branches still manufactures wood paddles, but composites have gained a growing share of the market. “The composites and plastics have gotten so much better that we no longer make a wooden kayak paddle,” Vater says. Wisse says that when he started with the company in 2001, wood kayak paddles were $100, “but wood has gotten way more expensive” in recent years, helping to increase the demand for composite products. Using composite materials has enabled manufacturers to produce lighter paddles. The introduction of less-expensive kayaks made of plastic—including those made for fishing—and sold by big box retailers has helped drive demand for kayak paddles. Kayak fishing has experienced explosive growth in the deep South, where bass fishing is popular, and among deep-sea fishermen. The newest paddle market segment is stand-up paddleboard users, a sport that “took off like gangbusters a decade ago,” Wisse says. Bending Branches has developed a spinoff brand, Aqua Bound, to market its stand-up paddleboard paddles. Most of the paddleboard paddles are made of synthetics with either a plastic blade and composite shaft, or full composite. For wooden paddles, Bending Branches uses mostly locally sourced, kiln-dried wood from suppliers in the Twin Cities, most often basswood and soft maple. The wood is cut into strips that are laminated together for maximum strength and durability. Some of the basswood is roasted to create a more pleasing appearance. The company also uses some red alder from the West Coast, which is much like cherry wood but less expensive. The environmentally friendly manufacturing process includes dipping (not spraying) each paddle into mineral spirits and varnish four times to protect the wood. As a company, Bending Branches holds “relatively few” patents but maintains trade secret protection for a number of its processes, Vater says. Bending Branches has developed a paddleboard paddle that weighs just about 16 ounces, and a canoe paddle that is slightly more than 13 ounces, he notes. “That lighter weight makes a big difference when you are on a four or five-day canoe trip in the Boundary Waters,” Wisse says. The company sells a lot of its paddles overseas in areas where kayaking has become popular, including Scandinavian countries, Western Europe and Australia. In his leisure time, Vater says one of his “greatest loves” is the annual southern U.S. swamp tour he takes in a one-seat canoe, along with his brothers and some company sales reps. Those longer trips are a great way to assess the value of new products as the company develops them. 12 Prospect Court, Osceola, Wis.